Writers know that the beauty is in the detail, that little nuance of texture and composition few people notice but that is an essential element of any scene. Kerri Sherman, a Lake Forest transplant and former film editor, captures those details not with a pen and paper but with her lens. And it was a talent she discovered by accident, just by paying attention to the world around her. As a kid growing up in the southern suburbs of Chicago, she had an appreciation for photography of all kinds. What could be captured behind the lens seemed magical. After college, she began working in commercial film—first as a production assistant but eventually as an editor. Her first job was an internship at MGM Studios in Orlando, where persistence took her from answering phones and grabbing coffee to editing films on the production floor. “It was an example of truly learning on the fly,” she says, explaining how that gig landed her to a job working for a film production studio in Chicago. One night, as she was 8 months pregnant with her son, Noah—eating cold pizza while finishing edits on a J.C. Penney commercial—she realized that the pace of her life as film editor would have to change when she became a mom. Around that time is also when she and her husband, novelist and advertising executive Derek Sherman, decided to move from Chicago’s Roscoe Village neighborhood to Lake Forest. It was a big life change, but they embraced it. A few years later, their daughter Sage was born, and Lake Forest gave them everything they needed to nurture their growing family. The only thing that was missing was Sherman’s ability to nurture her creative spirit. So, she picked up a camera, and began to discover what could be harnessed in a single still moment. Sherman began taking pictures everywhere she went. Not always of flowers or pretty scenery, but of unusual objects and strangers she would meet during mundane life tasks. She photographed barbed wire over windows in New Orleans. She met, friended, and photographed scenes of a group of Wisconsin nursery owners who came down to the North Shore during Christmas tree season, and who often ate dinners in the back of Angelo’s Liquors while staying at a nearby motel. These accidental subjects became her new passion, and along with snaps of flowers and beautiful scenery in the area, raw images of real people became part of an emerging photography portfolio. In 2010, she opened a small Lake Forest photography studio called Bloom & Focus, specializing in the art of visual storytelling. 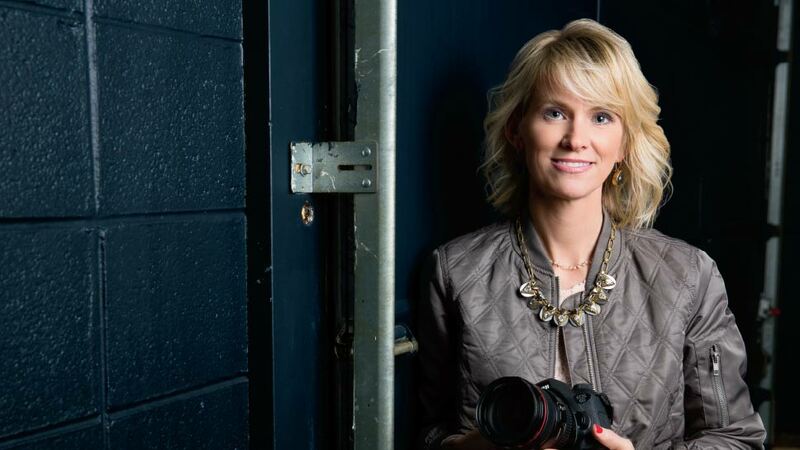 While she does some commercial work and leads regular photography workshops in and around Lake Forest, Sherman’s passion projects are what bring her the most joy. One of her latest is a collection of photography she calls “Grasp,” which includes photographs she has taken of craftsman, artists, and those who use their hands for work. Among those subjects is Ken Anderson, a watchmaker she met serendipitously while attending an event at the Museum of Contemporary Art in Chicago. 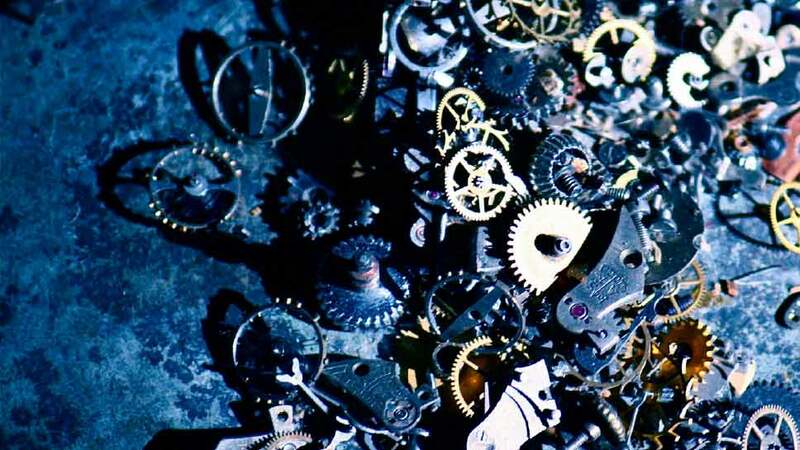 Intrigued by his work with intricate timepieces, she soon began photographing him in his studio in Chicago’s Ravenswood studio. She has already self-published one book of her photography, which is available for sale at The Gallery, a newly re-opened space in downtown Lake Forest. Where will she go from here? Sherman says she will just continue to wait for the stories to find her.